Magical Days in the World | Give Yourself a Break! 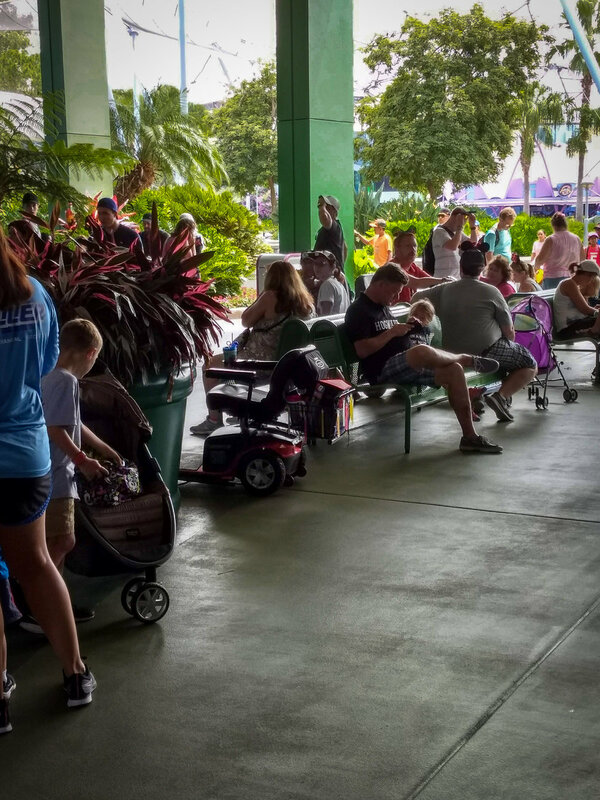 Whether you’re a first-time Walt Disney World visitor or a veteran park-goer, it sometimes can seem that you’re “on a mission” to see and do as much as possible during your vacation. You’re there to have fun and want to make the best use of your time and resources. But it’s important to take care of yourself and not inadvertently spoil the fun. One of the saddest things I’ve seen at WDW is a tired, stressed out couple or family squabbling over their plans or rushing frantically for fear of missing an attraction, show, or meal. Allow me to give you permission to take a break. You might be surprised how many little resting places you find throughout WDW—benches, retaining walls, and the like. Planning your visit to WDW can be a lot of fun in itself. Most likely, you’ll have certain priorities—must-do parks, new or favorite attractions, or a special dining experience. Of course you should preplan the things you’re looking forward to most. But beware of overscheduling or having a plan that’s so full and rigid that it sets you up for failure or causes unnecessary stress. Who needs that when you’re at the happiest place on earth? Remember why you’re there—to have fun, enjoy time with family or friends, and to make (good) memories. In the long run, breaks can make your time more enjoyable, and they need not be complicated or time-consuming. Don’t forget to take care of yourself during your vacation, physically and mentally, by taking breaks to rest and refresh. Stop to relax a bit, so you can get the most joy from those things you’ve planned and looked forward to. Savor the amazing views, sounds, and smells. I’ve found that even a brief diversion of a few minutes can do wonders for my energy level. In the long run, breaks can make your time more enjoyable, and they need not be complicated or time-consuming. It helps to think about taking a break as its own activity. When you opt for a brief respite, you’re not “missing” anything—you’re still “doing something.” That something is important and part of the big picture. Let’s face it, you won’t be able to do and see everything in one visit anyway. So why try? (In fact, no matter how hard you try, you will never do everything.) This is especially important advice for first-time Disney-goers and those who don’t go often. It’s tempting to try to cram in as much as possible. But avoid treating your WDW visit like a scavenger hunt, going from place to place, checking off things on your itinerary. Instead, build in some time each day for a change of pace, and don’t be afraid to be spontaneous, adapting to how you feel while you’re there. avoid treating your WDW visit like a scavenger hunt, going from place to place, checking off things on your itinerary. Find a spot for people watching. Interesting people flock to WDW from around the world, and you have a lot in common with virtually every one of them—you’re Disney fans! · It’s OK to take a break by yourself. You don’t need to apologize to other members of your party or convince them to join you. You’ll catch up in a while or meet them somewhere. · Go to your “special place.” Discover (or return to) a comfortable spot to sit, rest, and just relax. Chill for a few minutes. You might already have a few go-to spots. If you practice meditation or mindfulness, this is a good opportunity for that. · Enjoy the view. Find a spot with a favorite view or that you want to check out. I often discover things I haven’t noticed before, or haven’t paid attention to since I first saw them. In Epcot, for instance, you might want to sit for a while and enjoy the sights and sounds around the Fountain of Nations in Future World. Perhaps you prefer to relax and study the minutia of the architecture in Morocco, Italy, or another country in the World Showcase. There are endless possibilities. · Have a snack or a cold drink. Depending on the time or my mood, I may have a coffee or popcorn while I relax. · Find a spot for people watching. Interesting people flock to WDW from around the world, and you have a lot in common with virtually every one of them—you’re Disney fans! And if you’re like me, seeing other people having fun adds to your enjoyment. · Take a break from the elements. In hot weather, I like spots that are cool, or at least shaded. To me, EPCOT and Animal Kingdom usually seem hotter and entail more walking, so I’ve found some “respite spots” in each. You might be surprised how many little resting places you find throughout WDW—benches, retaining walls, and the like. · Include in your itinerary some attractions or restaurants that are conducive to relaxation, especially places where you can be out of the sun, or where you don’t need a FastPass or reservation. You might want to take a relaxing ride and see the Magic Kingdom from the Tomorrowland Transit Authority People Mover. A few other possibilities in the Magic Kingdom are: Mickey’s Philharmagic, the Enchanted Tiki Room, and Country Bear Jamboree. One of my favorites is the second floor of the Columbia Harbour House, where you can get a window table watch people below in Fantasyland or Liberty Square. · Take a leisurely shopping break. Since you were going to do it at some point anyway, why not escape the elements while doing a little shopping? You might be surprised how just fifteen or twenty minutes can rejuvenate you and motivate you to get back out there with a new vigor. Sometimes, you just need to stop and smell the roses. Or the Joffrey’s coffee. One of the best things I ever did was give myself permission to slow down and take breaks. It’s worth the time to disconnect, rest, take some deep breaths, and enjoy the ambiance. You might be surprised how just fifteen or twenty minutes can rejuvenate you and motivate you to get back out there with a new vigor. Remember to stop, look around, listen to the sounds, and smell the smells. And enjoy. Enjoy others enjoying. And imagine. It’s worth the time to disconnect, rest, take some deep breaths, and enjoy the ambiance. What is your favorite place and time to take a break inside the parks? Why? How do you do it—alone, with friends or family? Do you relax or rest, or people watch? Just enjoy? How did you discover your special places? Do you have certain places for certain moods or needs? Welcome to Magical Days in the World. 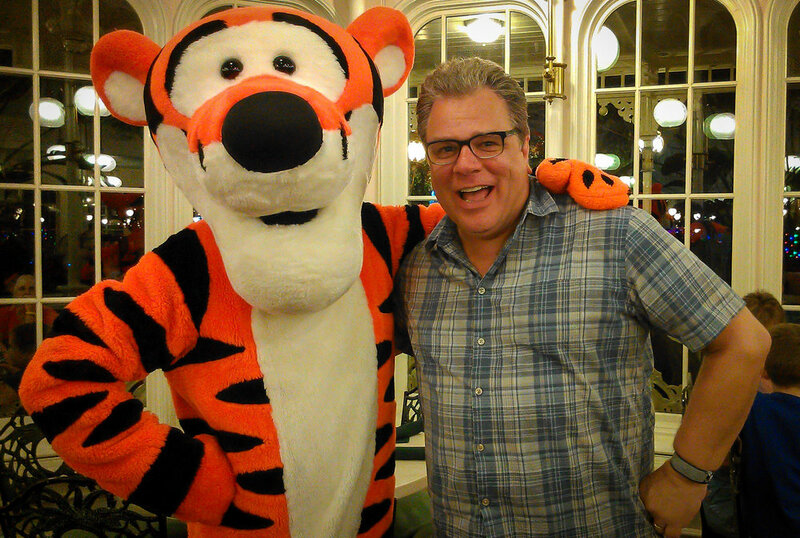 My name is Tony Stamatoplos, and I’m a lifelong Disney fan. Growing up, my Disney experiences were through television, movies, books, and comic books. I didn’t get to visit a Disney park until I was an adult, fulfilling a big dream. Since moving to Florida, I visit WDW often. Whether I’m there for a week, a day, or just a few hours, there’s always something magical about it. I’d love to share some of my experiences, insights, and tips with you. I’d also like to hear about some of yours! Newer PostRides in Magic Kingdom ABSOLUTELY Worth the Wait Times!